I actually really, really dislike Summer. With a passion. Because a) the weather can get too hot and b) I hate hot weather because c) I can’t curl up in bed in lots of jumpers to read and d) I’m expected to go out and socialise because it’s the holidays and it’s sunny. What is this socialising thing you speak of. Ahem. Buuuut, there is one pretty cool thing about Summer – over a month’s break from school! Before all the pressure hits in September as year eleven starts for me, I’m planning on spending the next weeks reading and blogging. That’s it. Plus sleeping. (Also volunteering at the library – I’ll have a shiny desk to read at, then). Back to the point of this post. Last year, I did a summer TBR – picking particular books to read for the holidays – but it completely failed and I still haven’t read everything I listed on that post. Maybe I’ll do better this year? 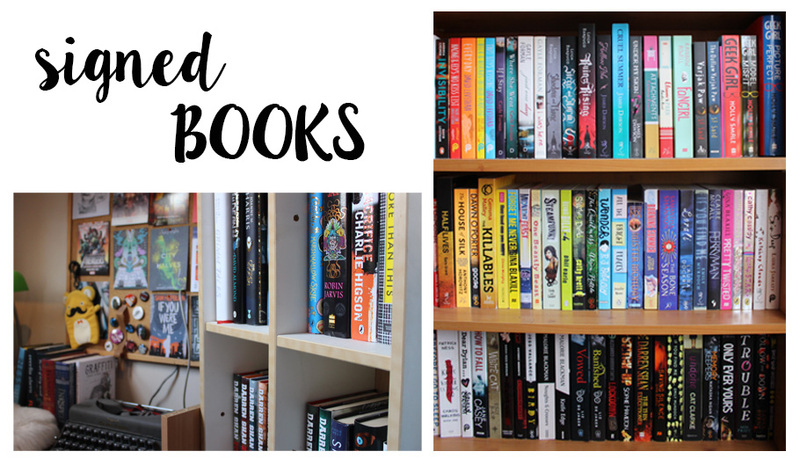 Here’s a little look at the books and why I picked them! Click on the titles to visit Goodreads. The Sky is Everywhere by Jandy Nelson: I read I’ll Give You the Sun a few months ago and it was a masterpiece. I’d really like to give her first novel a go. I’m sure I’ll love it as well. Grasshopper Jungle by Andrew Smith: I bought this from the lovely A Bundle of Books at a convention recently! This is very different to Smith’s other book, Winger – a lot wackier. I’m curious! My Heart & Other Black Holes by Jasmine Warga: I bought this quite a while ago because both the US & UK covers are stunning and the synopsis grabbed me. It seems like a really interesting read but I think I’ll need tissues. All the Light We Cannot See by Anthony Doerr: I bought this from my local indie bookshop, Kirkdale Bookshop, on the IBW2015 Bookshop Crawl. I’m in love with the cover and it’s been all over the internet! 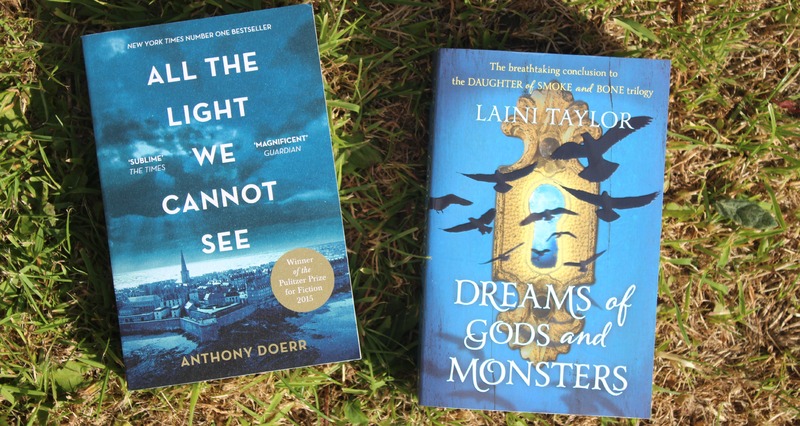 Dreams of Gods and Monsters by Laini Taylor: AGHGEO;IFHN’PEIVE’PIOEVM’DFCLWLS’WNDBWJUDBSLCNPEOGNMFKVMSLKENFIWNF. Basically. Before I Go To Sleep by SJ Watson: I was nagging my dad about borrowing this ever since he got a proof copy of this before it was released years ago – now I have a copy of my own I should probably get into it! Attachments by Rainbow Rowell: I love Rainbow Rowell’s books Fangirl and Eleanor and Park to bits. I’ve wanted to start this one for ages but as it’s a signed copy I haven’t wanted to take it out of the house! Summer is a good excuse. So, hopefully I’ll stick to this to-read list! What books do you want to read this Summer? What did you think of any of the books in this post? This entry was posted in Uncategorized and tagged jandy nelson, laini taylor, rainbow rowell, reading, reading challenge, s j watson, summer, summer reading, tbr pile on July 17, 2015 by keithbwalters. As a book blogger, I read a lot of books: The many I buy in book stores, as well as the titles I’m lucky enough to be sent from publishers for review. 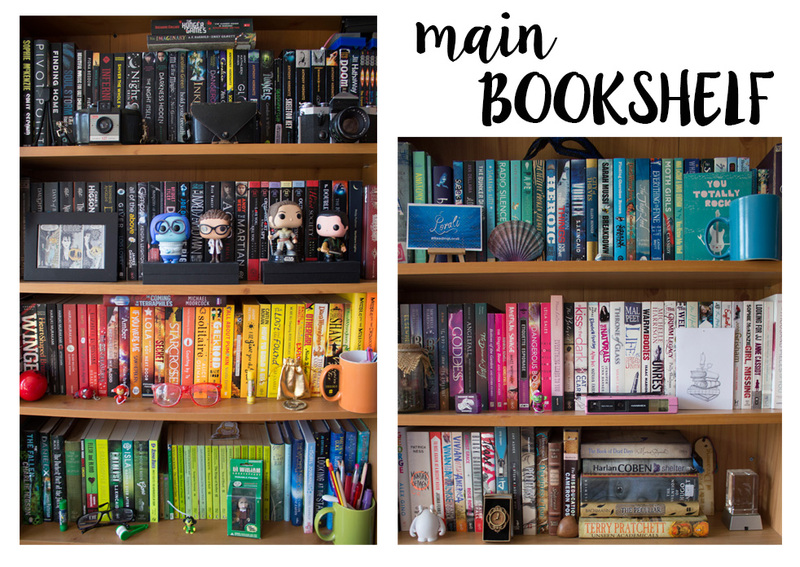 But, as blogging schedules, deadlines and looming TBR piles have gotten more and more daunting, what I read can sometimes be a little restricted. 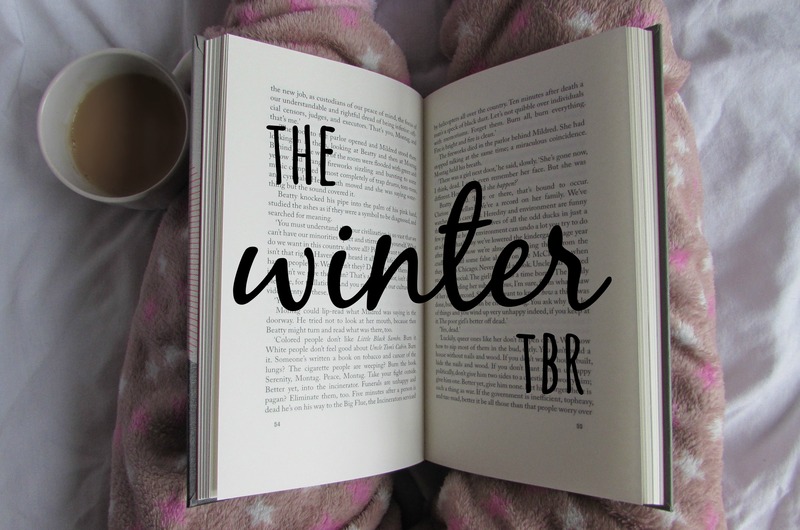 Don’t get me wrong – I adore book blogging, and love & appreciate every aspect of it. What I read is always diverse and unique (Every new book is always a different genre). However, there are times when I look at my bookshelves and spot a title I loved recently, or a very old book I loved a long time ago. I’ll often pick the book up, reread the blurb, and maybe flick to a short scene I remember to be particularly memorable. I’ll read a short part then think to myself, I’d love to revisit these characters. But, nine times out of ten, I put that title back and go to my TBR pile for my next read. 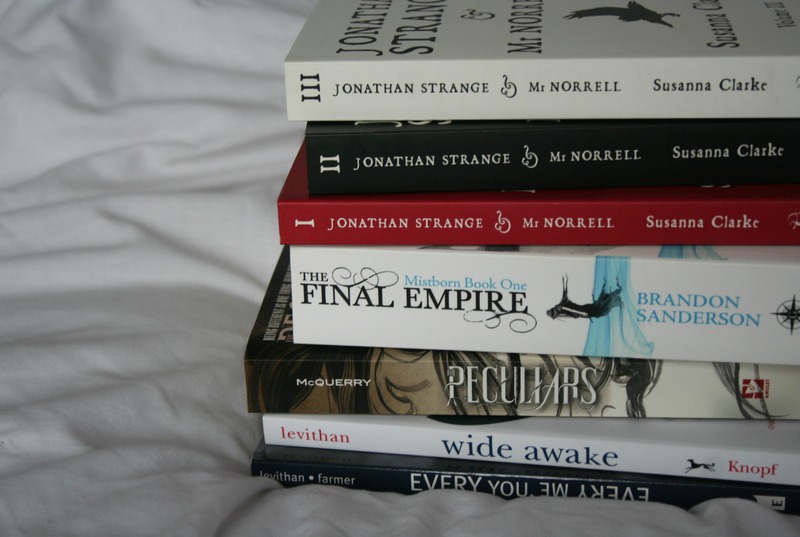 As much as I’m eager to delve into a fictional worlds I haven’t experience yet, I also find myself often wanting to revisit fictional worlds I’ve loved in the past. 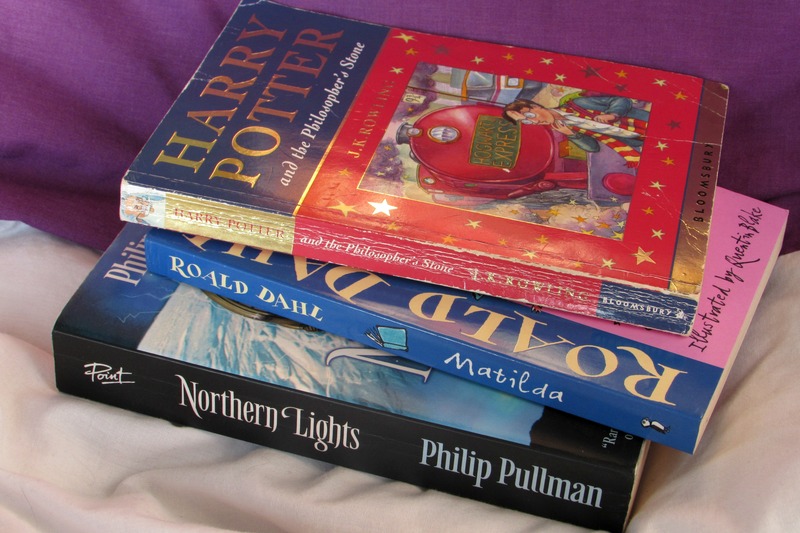 Therefore, for every ten books or so that I read from now on, I’d like to take an old favourite and reread it! As fun & challenging as reading to keep up with reviewing can be (which hasn’t been that frequent thanks to hectic coursework things! ), rereading will be so fun (and a little nostalgic in cases…) and I’m sure it’ll cure the frequent reading slumps too! There’s not really a need to explain this one! I grew up with Harry Potter, but the last time I ever read the series was when The Deathly Hallows was released… I can’t believe that was just over seven years ago. I would love to reread the series, or at least the first book. I can recall reading Northern Lights when I was a lot younger, in primary school, but I can’t remember any of the plot now – though I remember it being a completely beautiful book. I came across my old toys of the movie characters a while ago, and they reminded me how I should definitely revisit the story! Matilda is just one of the many Roald Dahl books I would love to reread again – I was reminded of how magical his books were when I visited the Roald Dahl Museum again over the summer holidays. I just picked Matilda for this list, because it was definitely the main Dahl book that started my love of reading. I can’t remember when and how, but recently the Magic Faraway Tree books came up in a conversation and I instantly flew back, in my head, to when my dad used to read these to Six-Year-Old-Me. I really adored them and I would love to reread at least one short story! As a primary school student, I accidentally picked up my first obsession when I bought Inkheart by Cornelia Funke. I wish there was a fandom for this book. *Scours Tumblr* I’m sure I destroyed the spine of my copy when I read it over and over again between ages seven and eleven. I can’t find it anywhere though, which is sad! As soon as I find my copy I’m definite I’ll be making time for it. John Green’s books are – I’m sure most will agree – genius. Paper Towns ties with TFiOS when it comes to picking a favourite of his books. As I’ve been getting really excited about the Paper Towns movie, seeing all of the set pictures online, I found myself tempted to go back and read the book. I’m sure I will before the movie is out! Another Levithan title, also read very recently! This is on the list because it’s not only a book I want to go back to again, but it’s also probably the easiest to because it’s split into short pieces, each from a different character’s perspective. It was really poetic and moving – in fact, I’ve been rereading passages and pages recently. Every Day is one of the most recently read books on this list; I read it in July. 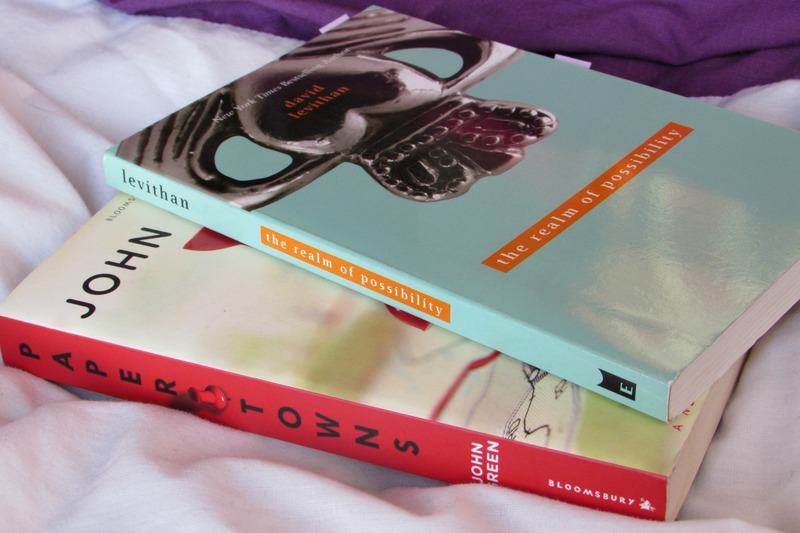 Levithan’s my favourite author at the moment, I think, and that was definitely decided after I finished reading Every Day. As soon as I closed the book, I wanted to start again. I’m not sure rereading Every Day will give me the same experience as reading it for the first time did, but it was a truly phenomenal book and I just want to revisit A so badly! The Runaways is a graphic novel series that I’ve raved about quite a few times on this blog. I just loved it so much! Though I haven’t actually finished the whole series (I think I’m missing two volumes) I would like to read the first volume again. To help cope with my feelings. Because I’m still crying over the most recent volume I read. 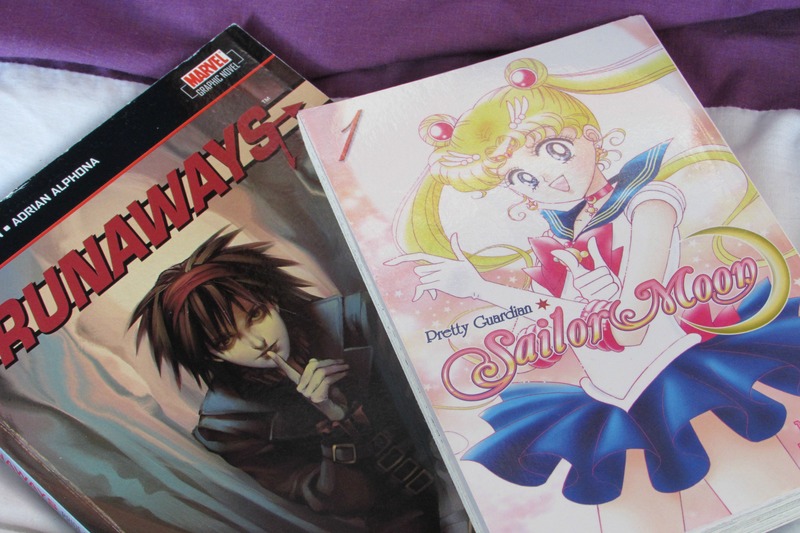 Between the ages of ten and twelve, I went through a kind of “manga” pghase – I was totally obsessed with drawing, manga style, and reading manga series including Sailor Moon. Naoko Takeuchi’s books are still an all-time favourite manga, though I haven’t read them in ages. With the recent release of Sailor Moon Crystal, I’d like to reread the original Sailor Moon books, then maybe try the new series! 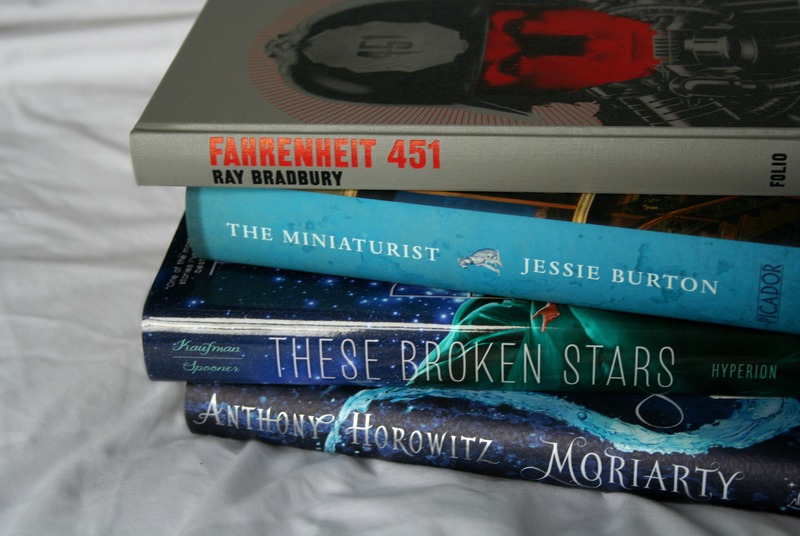 Wow, that was unexpectedly a very long, rambling post… What books would you like to reread soon? This entry was posted in Uncategorized and tagged blog post, book, bookish, books, discussion post, every day, harry potter, inkheart, matilda, northern lights, paper towns, reread, rereading, sailor moon, tbr pile, the magic faraway tree, the realm of possibility, the runaways on December 1, 2014 by keithbwalters. 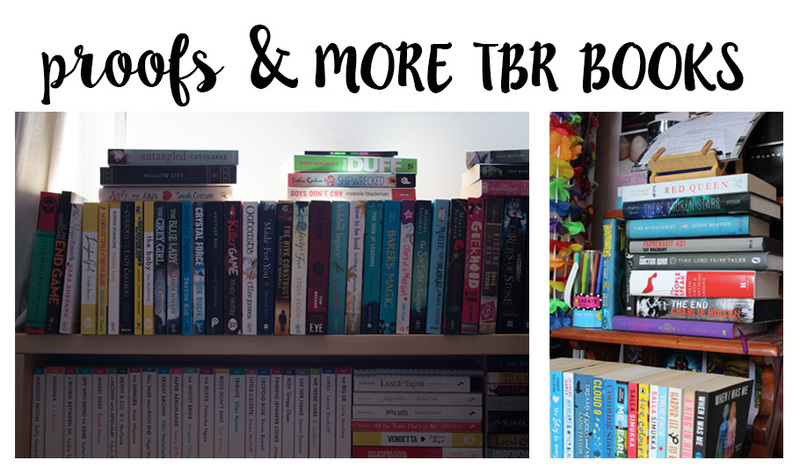 I have so, so many books to read – I think I may have exactly 200 books on my TBR pile now. Gulp. That’s a lot. I have a book buying problem. 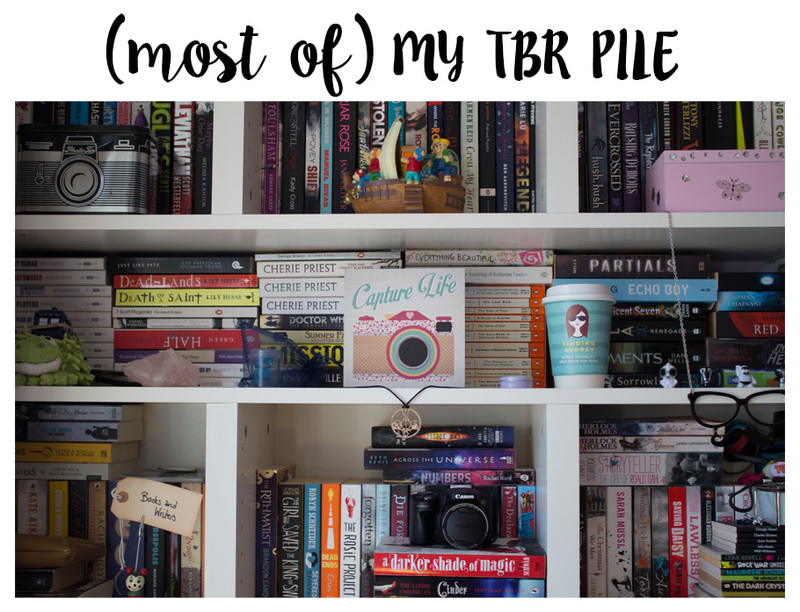 My TBR pile isn’t organised at all, it’s totally chaotic. 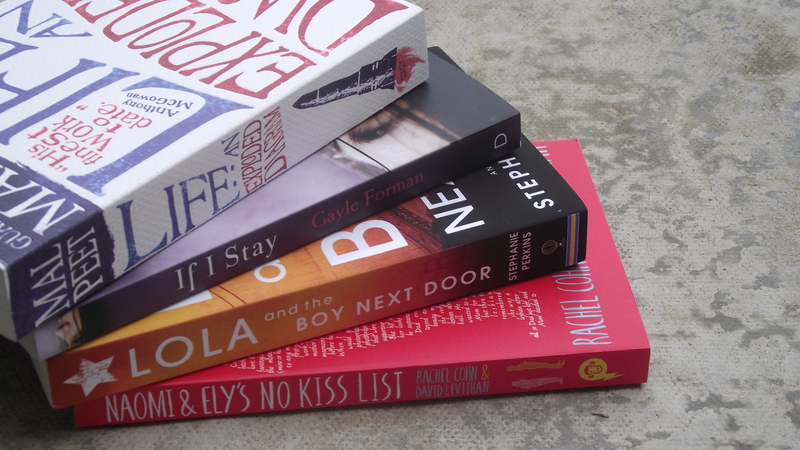 But, a few days ago, I decided I’d pick a certain number of books out, that I would definitely read, over the summer! After all, as of Twelve O’Clock on Wednesday (I’m counting down ;D), it’s officially my Summer Holidays. My holidays are going to be pretty busy, because as well as some book events lined up and booked already, I’m also going to be volunteering at my local library for quite a few afternoons, helping kids with the Summer Reading Challenge (Which I’m really excited about!). 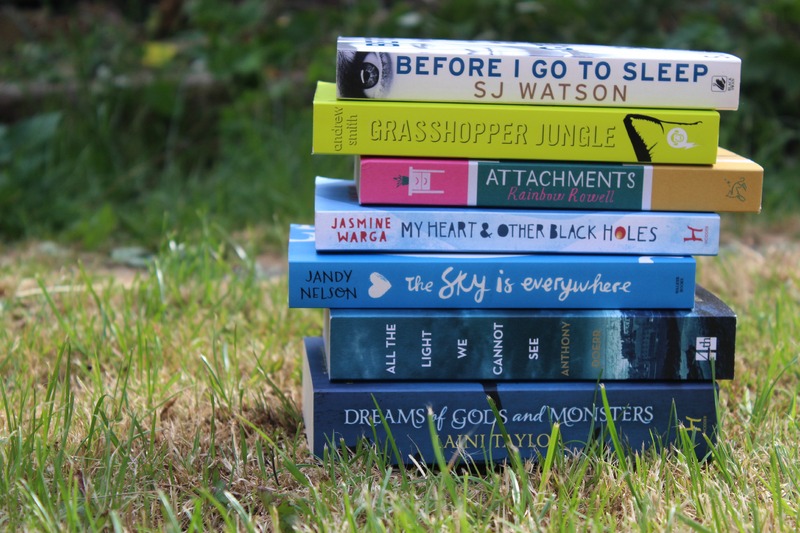 Anyway – I wanted to organise what to read over the holidays, and make a post about it – like a check-list, maybe, so it’s my own Summer reading challenge! 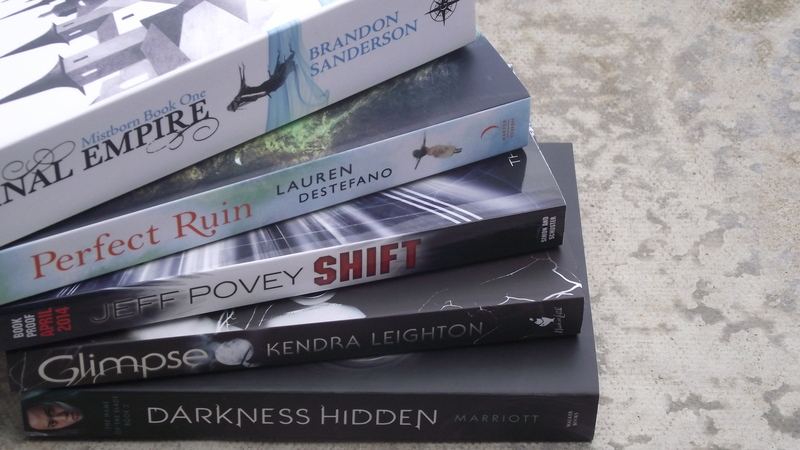 I’ve narrowed down my overall TBR pile (it was HARD) to fifteen books. That may be a little bit over-ambitious, and I will probably add books, or swap some books, because I won’t always be in the right mindset for certain genres, I don’t think. So… here’s what I’ll be aiming to read this summer! The Grisha trilogy by Leigh Bardugo // I have read the first book in the trilogy, but that was a pretty long time ago, and I really want to reread it and marathon the trilogy – I’m really bad at remembering events from previous books in series, especially when it’s fantasy. 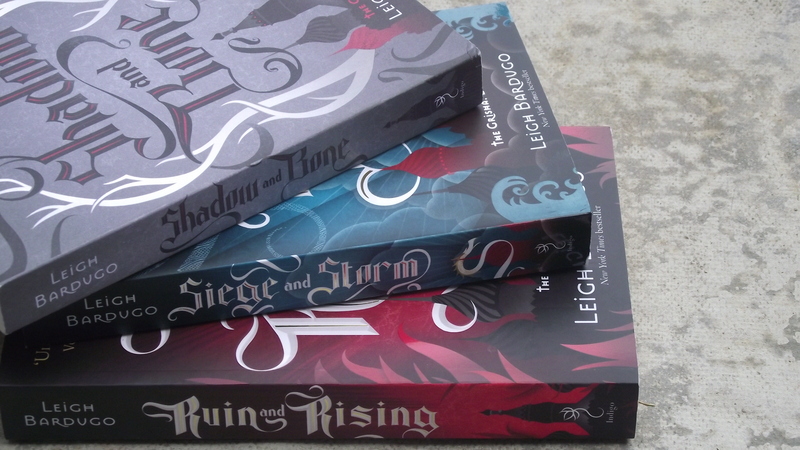 Leigh Bardugo is coming to the UK over the Summer, and so to coincide with her visit I’m hoping to read all three of her books before the event that I’m planning to go to. LIFE: An Exploded Diagram by Mal Peet // I received this at YALC and I’ve wanted to read it for ages! If I Stay by Gayle Forman // I loved Just One Day when I read it a few weeks ago, and I really want to read this before I see the movie. I will start stocking up on tissues. The movie trailer made me cry. Naomi & Ely’s No Kiss List by David Levithan // Thank you to the people who organised the blogger’s YALC event, for putting this in my goody bag (: I’m really excited about reading more by David Levithan. I’ve just finished Every Day (which reduced me to a sobbing mess) and I’ll be seeing David in conversation with James Dawson very soon, eep! Perfect Ruin by Lauren DeStephano // The cover for this book is gorgeous! I read the synopsis on Goodreads a little while before the book came out, but never got the chance to buy it. I managed to get a copy at YALC. SHIFT by Jeff Povey // I won this a few months ago, in a Twitter giveaway run by Wondrous Reads (thank you Jenny! ), and it looks really awesome. For some reason, I still haven’t gotten around to it… I’d really love to in August, though! Darkness Hidden by Zoe Marriott [ARC] // I recently finished The Night Itself and really loved it! I can’t wait for book two, and I’m hoping to do a joint-review for them. Thanks to Walker for the copies. 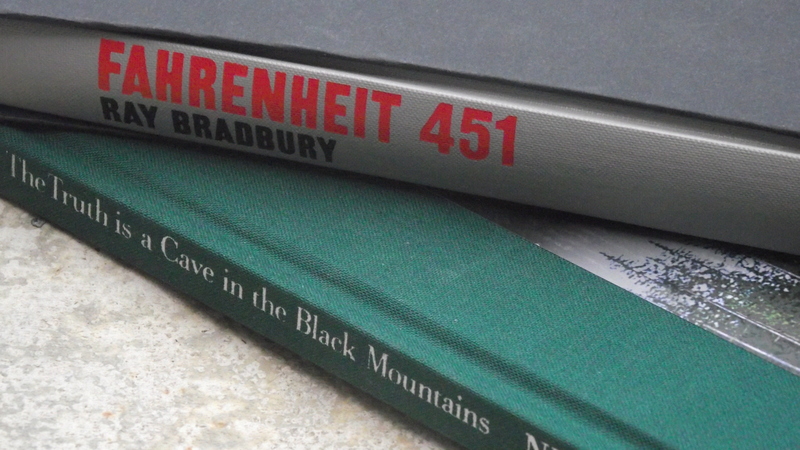 Fahrenheit 451 by Ray Bradbury // I received this really pretty Folio Society edition as a Christmas present. I’ve read a few stories from Ray Bradbury and really enjoyed them, though somehow I haven’t yet read this one, which is probably his most well known. The Truth is a Cave in the Black Mountains by Neil Gaiman & Eddie Campbell // I haven’t read a graphic novel in a while! (probably because I’m still recovering from Young Avengers feels). This book looks really stunning and interesting in terms of the art, which I saw when I flicked through it. And of course I love Neil Gaiman. I can’t wait to read this! This entry was posted in Uncategorized and tagged summer, summer reading, TBR, tbr pile on July 21, 2014 by keithbwalters.